Retouching the World's Largest Car Advert Image. Technical Insight - Retouching the World's Largest Car Advertising Image. Commercial car photographer Simon Stock recently used NASA techonology to create the World's largest image ever used to promote an automotive brand. Simon's client, Bentley, wanted to show their commitment to innovation and to explore the detail of Bentley’s craftsmanship. 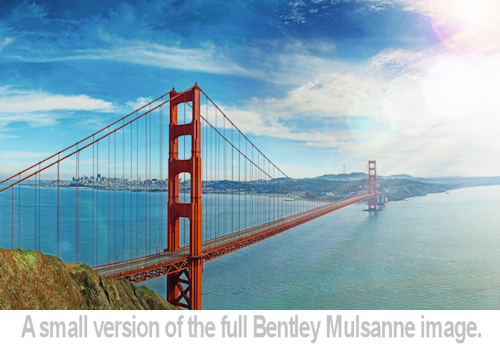 This lead to a shoot in San francisco, to photograph the Bentley Mulsanne on the famous Golden Gate Bridge. 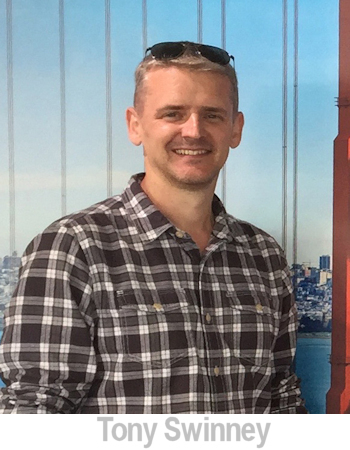 Using that spage-age tech, Simon created an image over 53 gigapixels in size, which was a massive challenge for the team working on the shot in post. Given the task of adding the polish to that huge photograph was Tony Swinney of Mustardpost. Here we talk to Tony who gives us a behind-the-scenes look at the job of editing such a massive file. How did the Bentley project come about and why did you become involved? We have been retouching for Bentley for about 4 years. Early in 2015 we did all of the launch imagery for their new SUV, the Bentayga, shot by Simon Stock. Three of those images featured the car in the distance in an epic landscape. The images looked amazing, and as we looked at some large prints we said wouldn't it be amazing if we could zoom right into the car! That was the genesis of the Gigapixel Goldengate image. What were the challenges of editing the largest ever car advertising image ever produced? Size ! The image was stitched from 700+ captures, from a Phase One camera back and resulted in a 295,000 pixel wide file! This meant the working file size was around 148Gb, which requires a huge amount of processing power to do anything with. The file would take up to 90 mins to open, and up to 3 hours to save ! We had to splice the file up into sections for various elements to be retouched and then piece it back together again. The main creative issue was controlling the colour grade, as photoshops maximum brush size created barely a speck on a file of this scale so brushing in grads or vignettes was impossible. Did you have to make any hardware or software changes to accommodate such a massive file? We built a Mac Pro based system to work purely on the file, with 128Gb ram, and bespoke 6G SSD Raid 0 scratch discs, and Raid 0 file storage arrays for storage, both connected over Thunderbolt 2. Can you describe the editing process? Slow! As mentioned above we had to splice sections of the image to be retouched separately ie removing around 100 cars from the road surface of the bridge, and re-aligning all of the suspension wires of the Goldengate, as they moved in the wind during the 50 mins it took to capture the 700 frames to make up the image, and therefore did not align when the vista was stitched. Were you involved in the project throughout or just at the end? We were heavily involved from the earliest conversations, as the technicalities of making this image happen required a lot of research and testing. We did a test project with Simon Stock, to show Keko and Bentley how we could make it work. It was a big learning curve, pushing the equipment to the limit both on the shoot and in post production. How long did it take to complete your portion of the project? There was approximately 260 hours work on the project, spread over about 4 months. Can you foresee this type of image becoming commonplace? I can definitely see lots of exciting options for product and lifestyle imagery, and it is a great technique for new product launches. The ability to start with an amazing vista, where the product may not even be visible and then not only zoom in to reveal the product, but to keep zooming in until you see a minute detail of the product is quite something, and could lend itself to a multitude of clients. Watch this space ! Creative Retouching is one of the least talked about skills in visual media. We interview Tony Swinney who has worked on some very high-profile imagery. In the final article from our series looking at Burnham Niker, owner Katy Niker gives us an insight in to the photographers' agent. 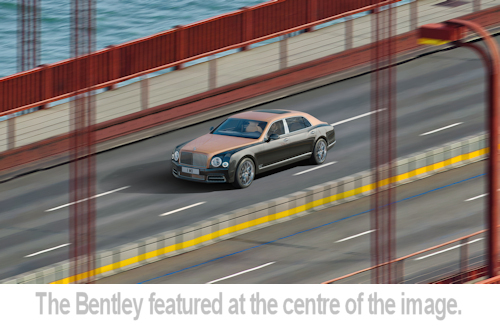 Photographer Simon Stock takes us behind-the-scenes to see how he created the largest ever image used to advertise a motoring brand, featuring the Bentley Mulsanne.